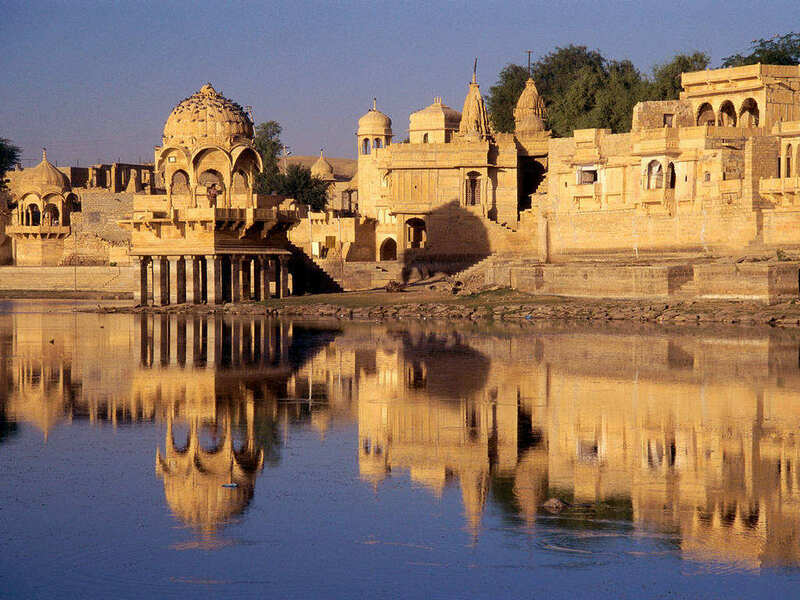 Jaisalmer, a princely state in the western state of Rajasthan, in the heart of the Thar Desert known as the “Golden City” is approximately 800 km from Delhi and the ideal time to visit Jaisalmer is between November and March. 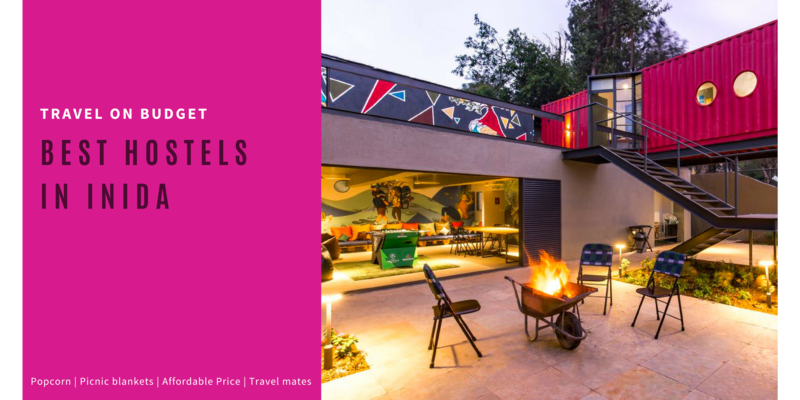 In the heart of Thar desert lies this former trading center, Jaisalmer has an amazing list of things to do and places to visit to have a memorable getaway from the hustle and bustle of the city. 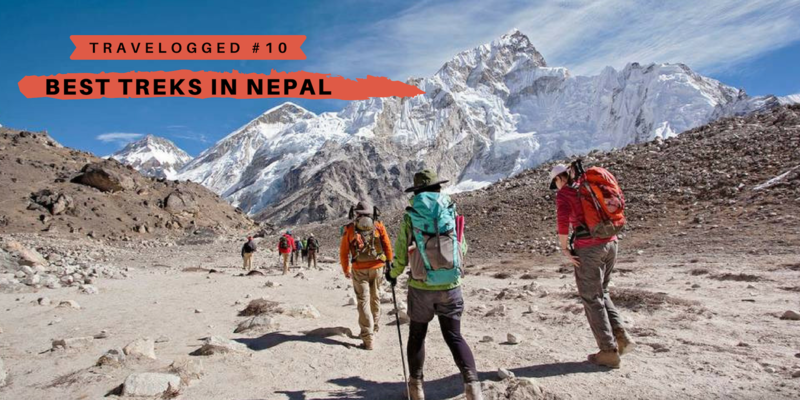 Let's know about them in details. 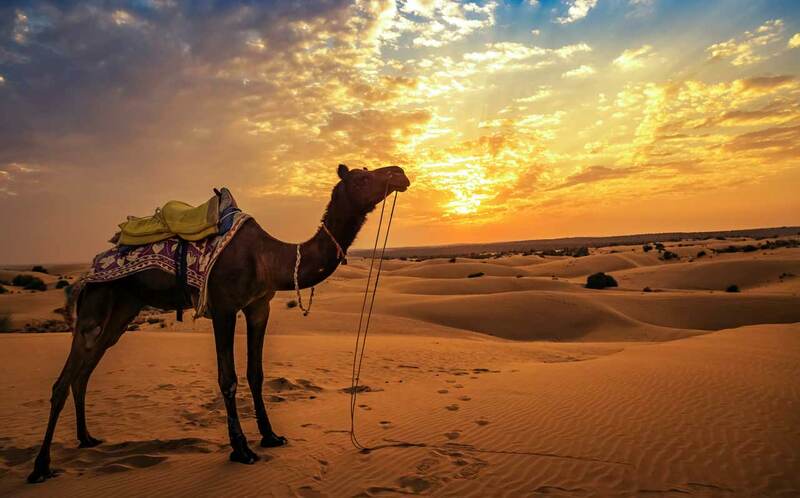 A desert safari tour in the Sand Dunes of Jaisalmer on winter mornings, music & dance programme in the desert camps and camel rides are what make this place unique and different from rest of the country. Being in Rajasthan brings a sense of luxury and gives a sense of living in royalty. 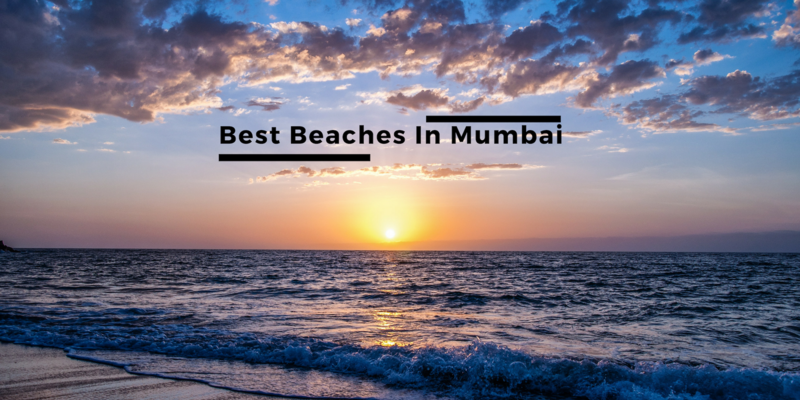 The dusky sunsets on the horizon of all that sand is a sight one can't miss. 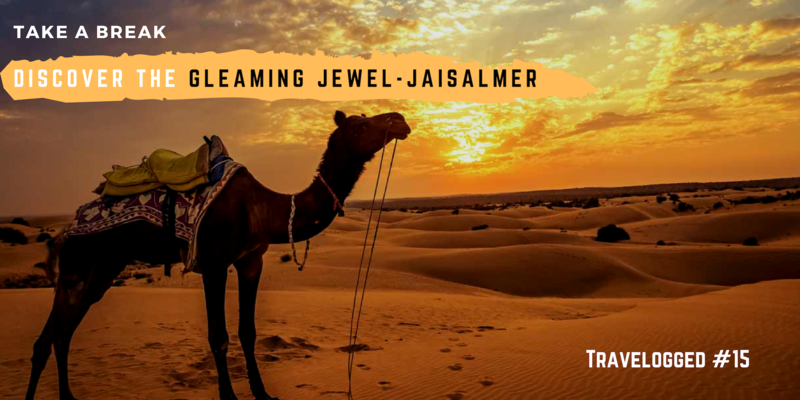 The other most exciting thing to do in Jaisalmer would be riding through the undulating, desolate desert on a camel back. If you plan to book a camel safari from Jaisalmer, you'll have a stop at surrendered Kuldhara town while moving towards Khuri. 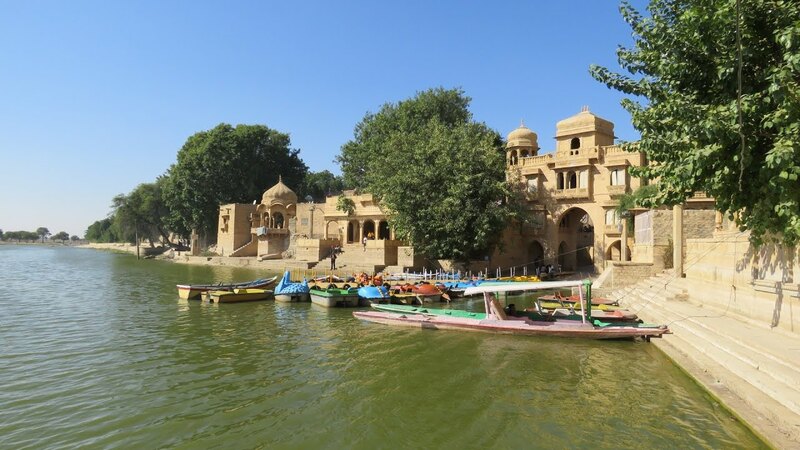 There are also a few tour companies in Jaisalmer that provides you with the overnight camel safari which is one of the famous Jaisalmer tourist attractions. 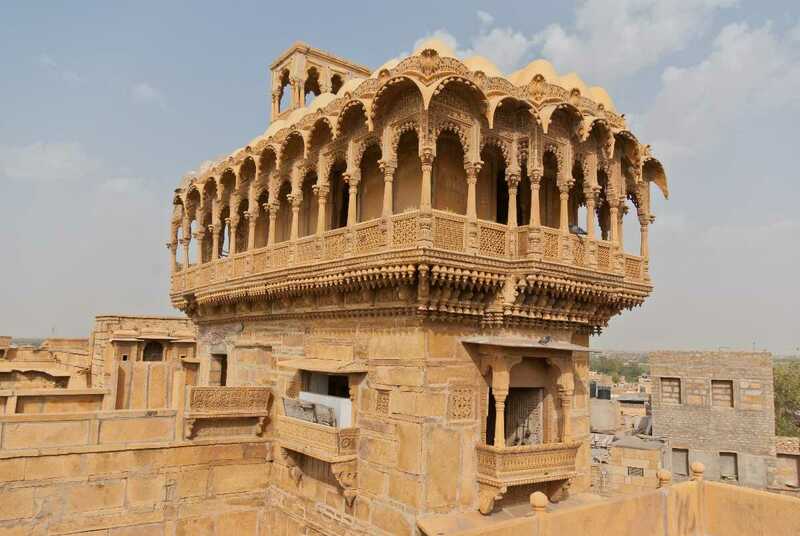 Jaisalmer is known for its great forts and havelis that fence the city and other tourist spots in Jaisalmer. 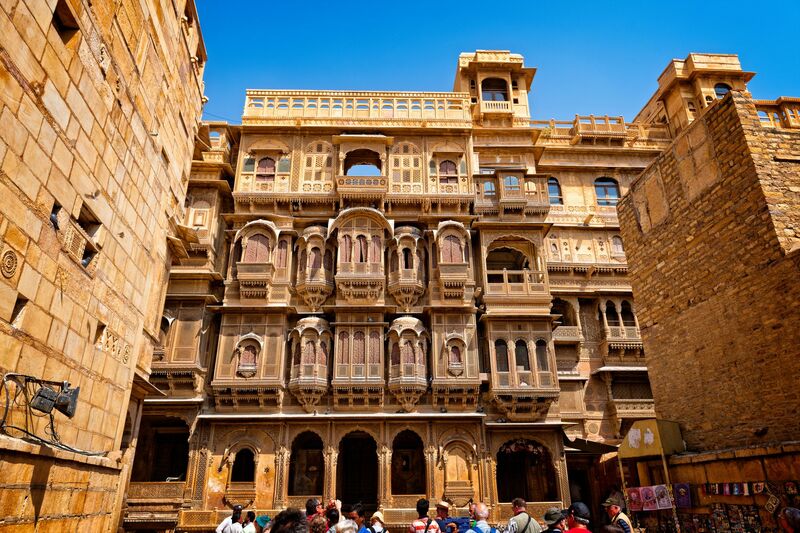 Any Jaisalmer tour would include Haveli Hunting where you get to see the most famous havelis in India like Salim Singh Ki Haveli, Jaisalmer Fort, Khaba Fort, Patwon Ki Haveli and so forth. 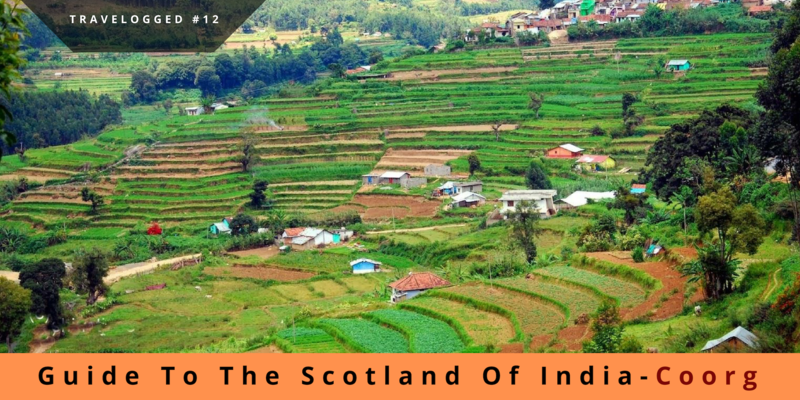 Enjoy a day of sightseeing and see India from a never seen before perspective. 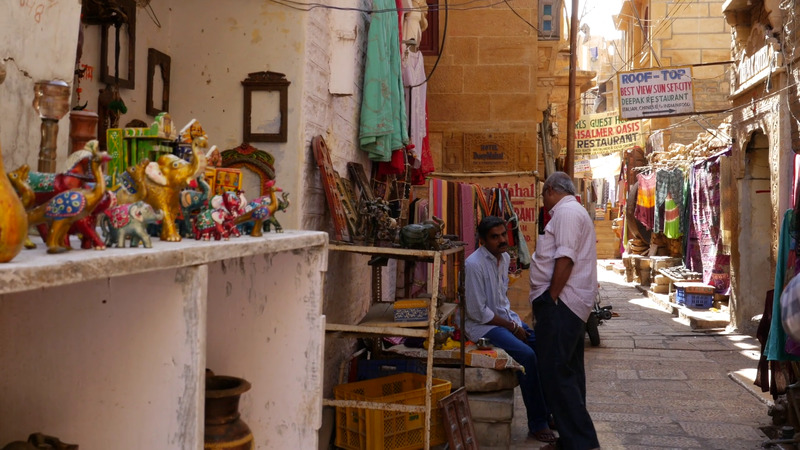 Revive the shopaholic in you whenever you're in Jaisalmer as the vibrant jackets, suits, umbrellas, accessories, and fabrics will leave you spoilt for choices. Do give the local markets a visit to for some Rajasthani souvenirs and you'll end up shopping more than you have imagined. 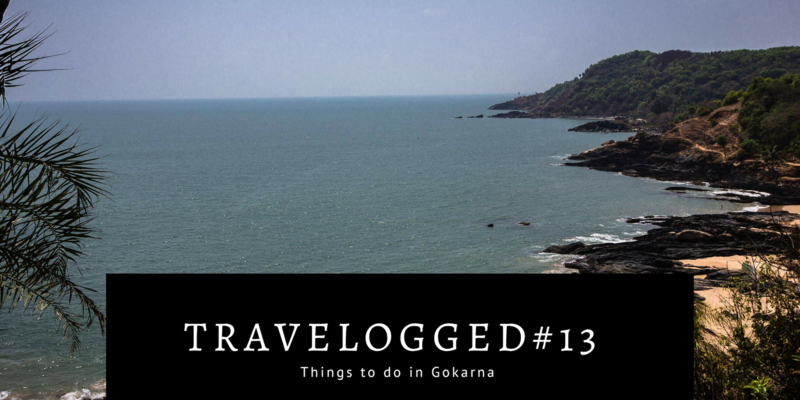 Take a boat ride at one of the most mesmerizing lakes of India-Gadisar Lake. Right at the heart of the city, it is best to explore either at Sunrise or at Sunset. 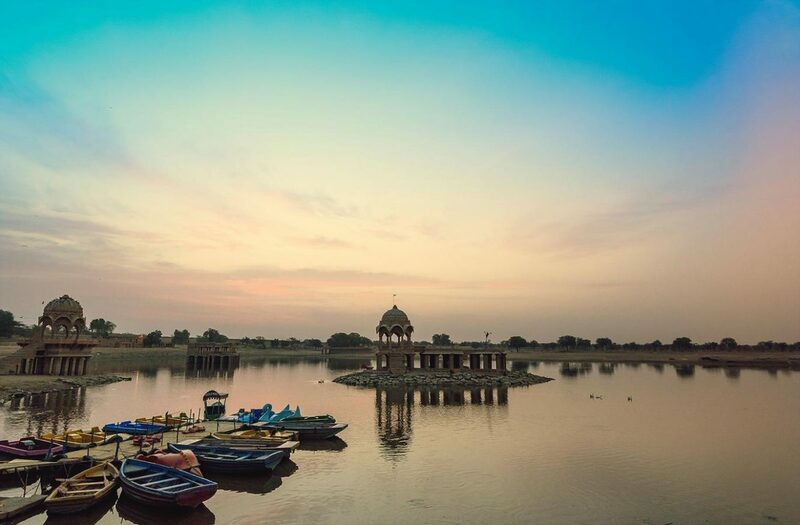 This picturesque lake with nice architectures surrounding is one of the best things to do in Jaisalmer. 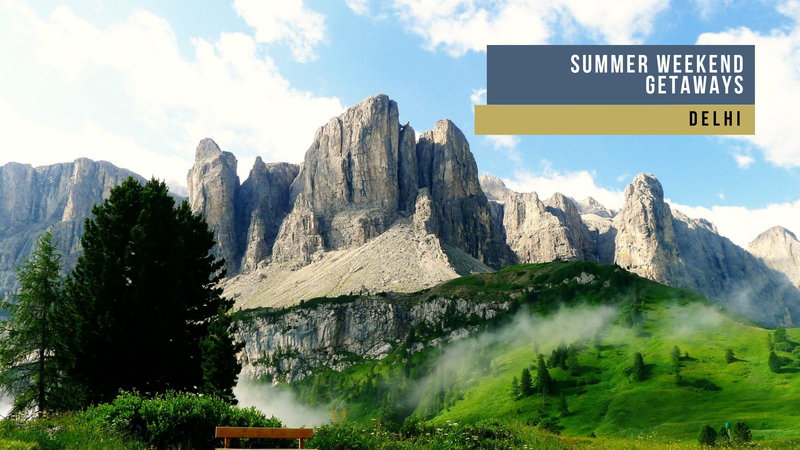 Carry your best camera so that you can have some amazing shots. 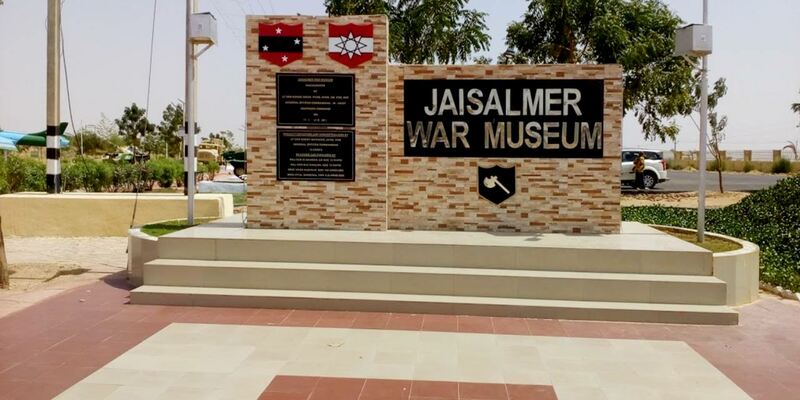 Jaisalmer War Museum tells you about the contribution and bravery of the soldiers in the 1965 Indo-Pak War and 1971 Battle of Longewala. The museum also showcases weapons like war trophies, vintage equipment, tanks, guns, and military vehicles. One can see the glimpse of the nature of war in the Jaisalmer War Museum. 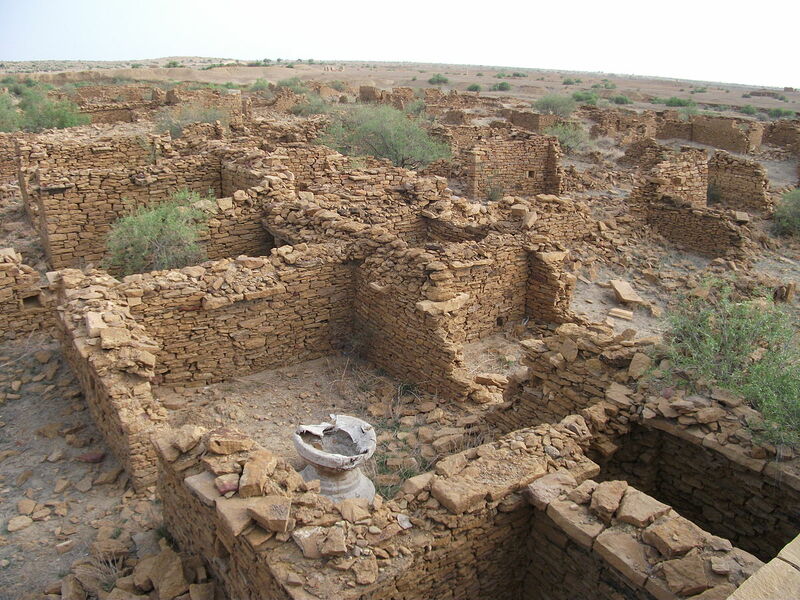 Rajasthan stores in its belly numerous villages of which one of the most haunted ones known to us is Kuldhara, mostly because it has been mentioned in films and TV serials. 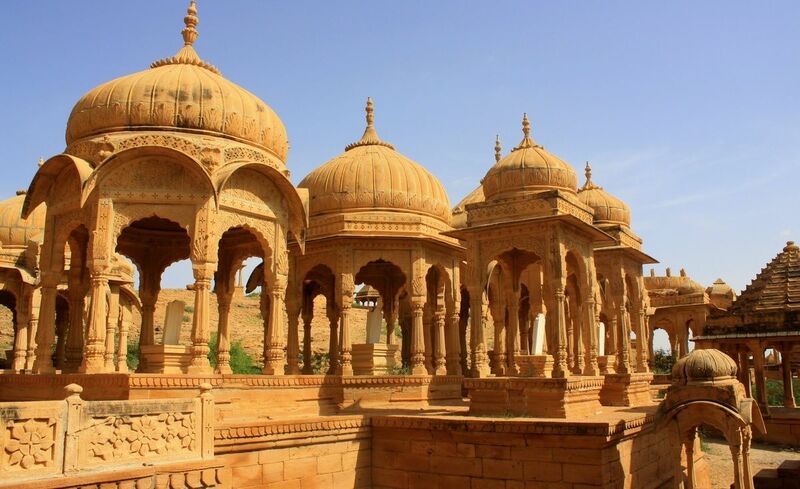 Only a few kilometres away from Jaisalmer, it's easily accessible and has become a not-to-be-missed tourist spot now because of its interesting story. 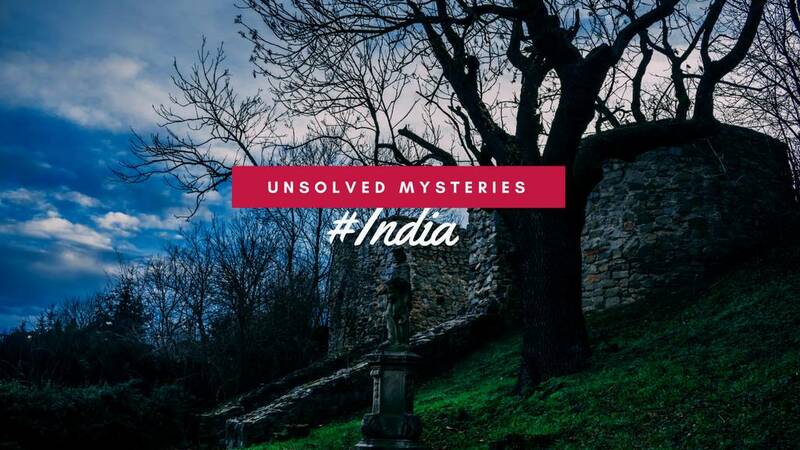 Despite its ghostly past, it is the most beautiful village of Rajasthan. 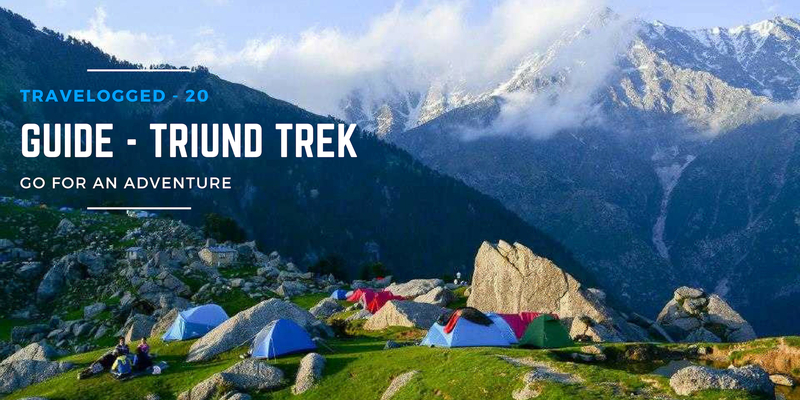 It's crime to miss out on this mysteries yet mystical destination which should definitely be included in the best villages of India. Explore it figure out the real historical past! A huge and magnificent fort is located amidst the desert city of Jaisalmer is one of the main tourist attractions in Rajasthan. The golden coloured sandstone structure makes it unique. 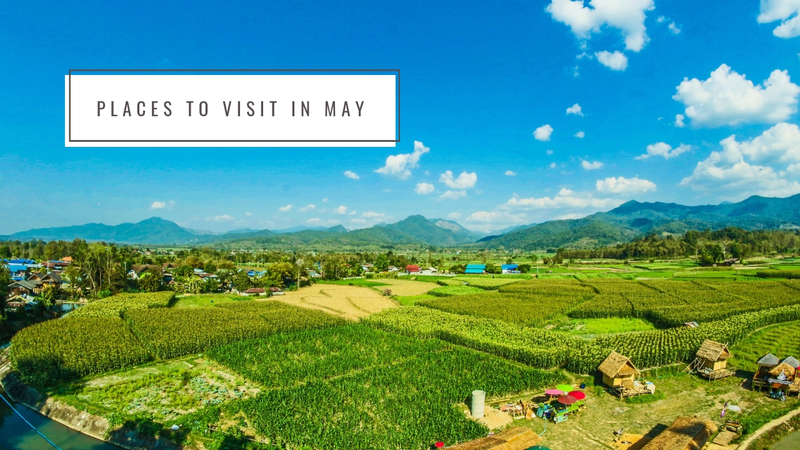 It’s recommended to go with an authorized guide, who will take you around the right places and let you know about the history of the place. 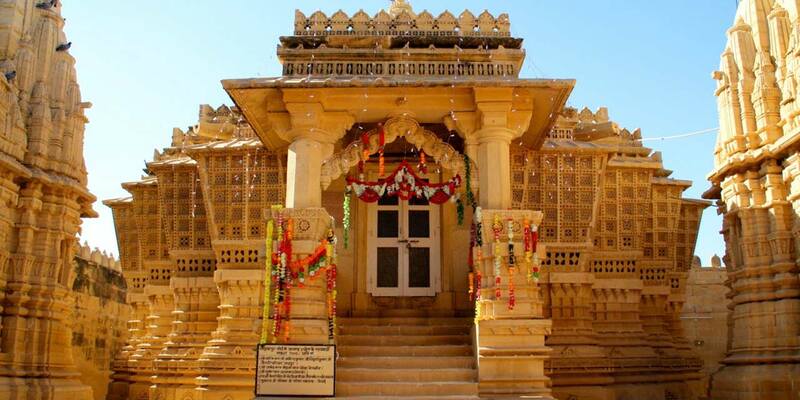 Visit the Jain temples of Jaisalmer town to see the old and high pilgrimage of India and we are sure that you'll definitely be attracted towards the archeological value attached to them. You can find animals and human figures carved in various styles like Dilwara style which dates back to the 12th and 15th century. Tip- Plan the trip to Jain temples early because the temple is open for visitors till 12:00 noon. 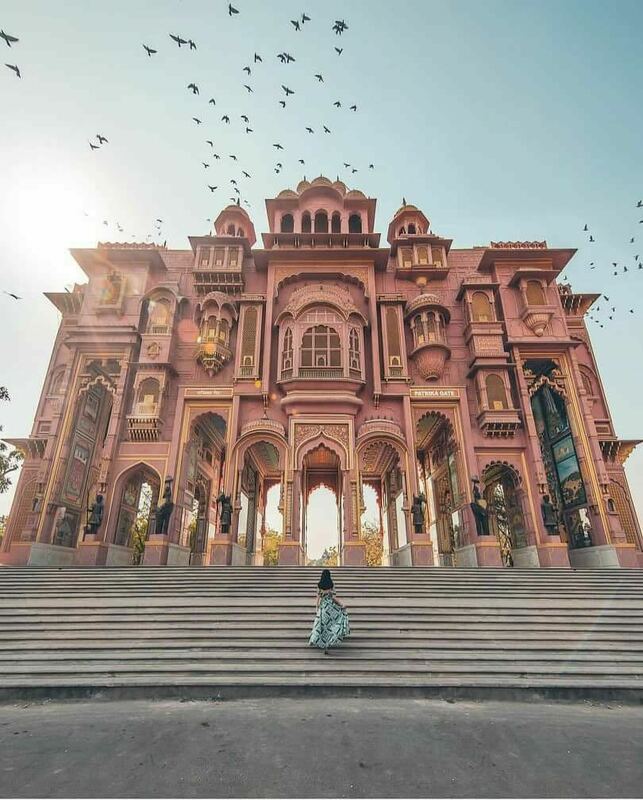 The meaning of Bada Bagh is "Big Garden" and it highlights a progression of imperial cenotaphs or chhatris of Jaisalmer Maharajas, including that of Jai Singh II (Maharaja Sawai Jai Sing). Every one of the cenotaphs at Bada Bagh has a wonderfully cut roof and rich equestrian statues of rulers. 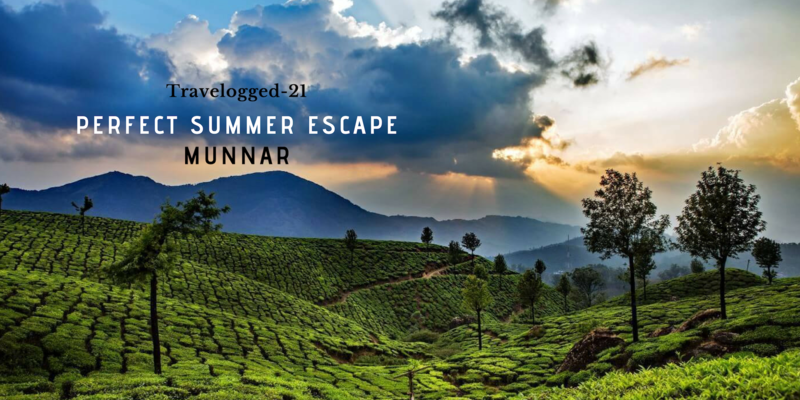 The area of the greenery enclosure is to such an extent that it offers mind-blowing dusk vistas to voyagers. 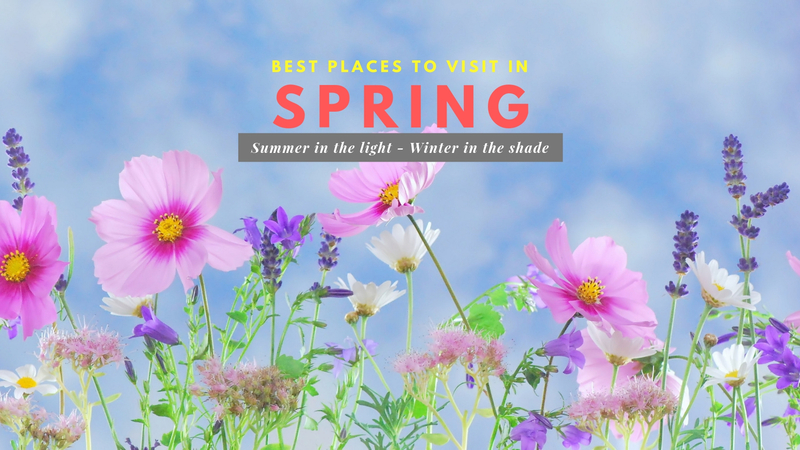 At the point when you plan to explore Bada Bagh you should also visit the greenhouse, tank, and the dam. Originally which was a man-made supply that was established to give a wellspring of water to the general population of Jaisalmer. The Gadi Sagar Lake was founded in 1367 which consists of Chattris, ghats, temples, and shrines. 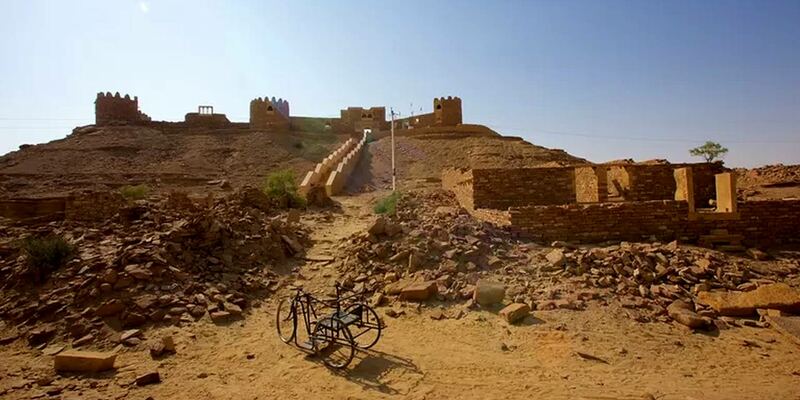 See the amazing view of having the Jaisalmer Fort as the backdrop. 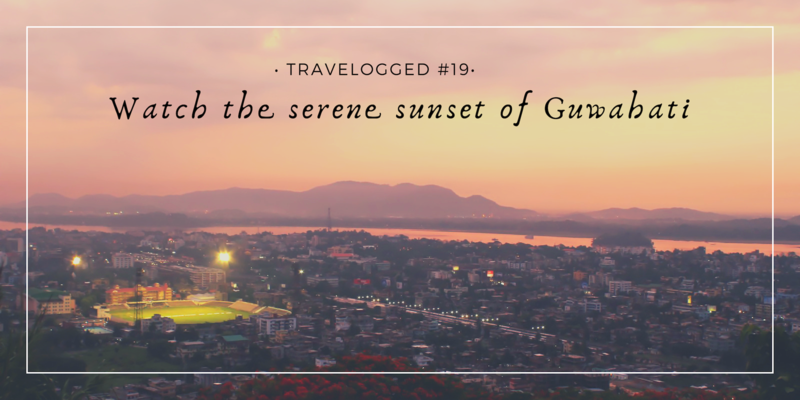 A huge number of tourists visit the Gadi Sagar lake during the Gangaur festival which is celebrated every year. Built during the early 1815 CE, Salim Singh ki haveli has a very unique architecture as compared to the other havelis. Salim Singh Ki Haveli was not made with the assistance of concretes and mortar-the stones which are associated with solid iron poles. The architecture of this house is propelled by moving peacock. You can visit this place from 8:00 am to 6:00 pm. The gates are closed for tourists after 6:00 Pm. 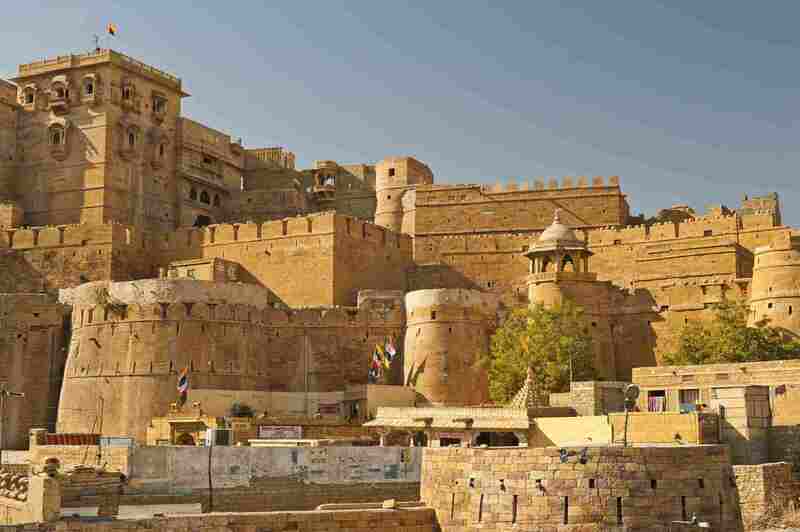 The smallest fort in Jaisalmer is the Khaba fort which is a remarkable landmark among the famous places in Jaisalmer. Khaba Fort is on the way to Sam Sand Dunes and is a decent point for the dawns and nightfalls as the desert area changes drastically. If you are lucky you'll also be able to spot a few peacocks there. 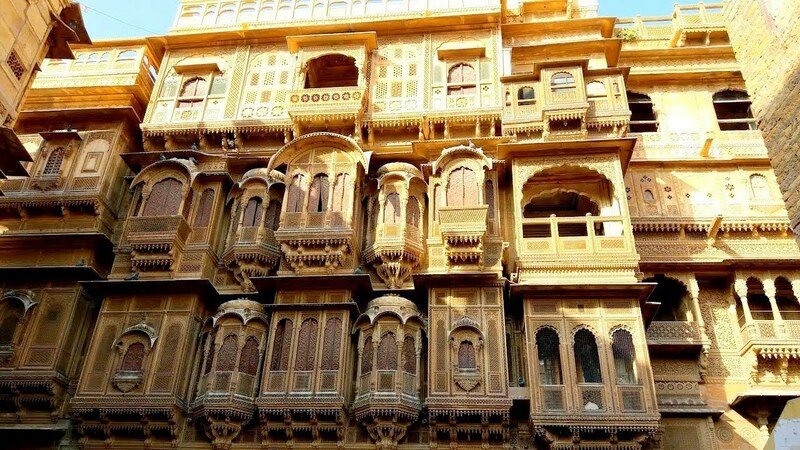 Situated only 400m toward the north of Jaisalmer fort and royal residence, Patwon Ki Haveli is a complex of five separate havelis possessed by five siblings and was the first haveli to be built in Jaisalmer. The Haveli has 60 brilliant jharokhas (overhangs) in a blend of Indian and Persian styles of design. Havelis like this are a decent portrayal of the rich expectations for everyday comforts of the dealers of Jaisalmer. How To Reach In Jaisalmer From Delhi? By Road: There are three routes to take from Delhi to reach Jaisalmer. The first route starts from Delhi - Bahadurgarh - Rohtak - Hisar - Fatehpur - Bikaner - Jaisalmer this route takes about 14 hours across NH9 and NH52. 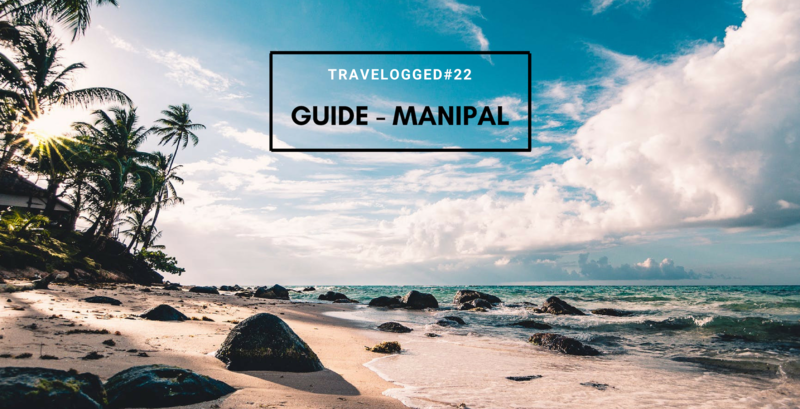 Route 2 starts from Delhi - Neemrana - Shahpura - Jaipur - Nagaur - Jaisalmer it goes through NH 48 and 125 and takes about 15 hours and the final route is from Delhi - Neemrana - Shahpura - Jaipur - Kishangarh - Ajmer - Beawar - Jodhpur - Pokhran - Jaisalmer. By Rail: There are a lot of direct trains that run from Delhi to Jaisalmer. By Air: You can reach Jaisalmer via Udaipur, Jaipur or Jodhpur. 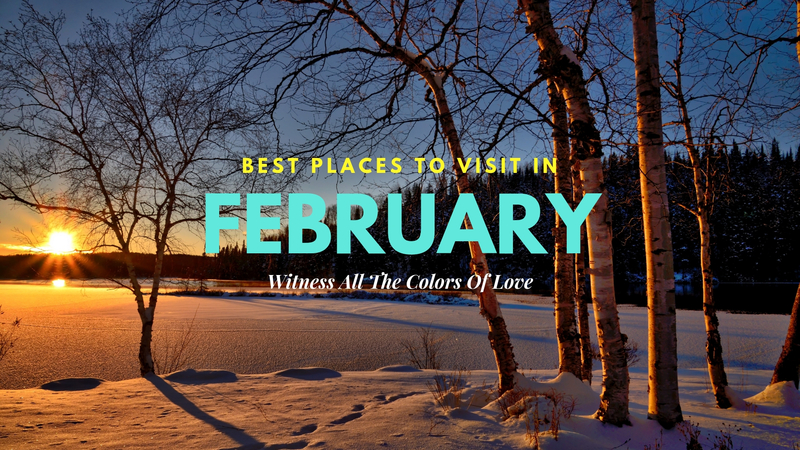 The closest airport is situated in Jodhpur and there are frequent flights from Delhi. Once you reach Jodhpur, you can continue by road from there to Jaisalmer. Jaisalmer is the home to a lot of amazing and scrumptious food which you cannot find anywhere else in India. 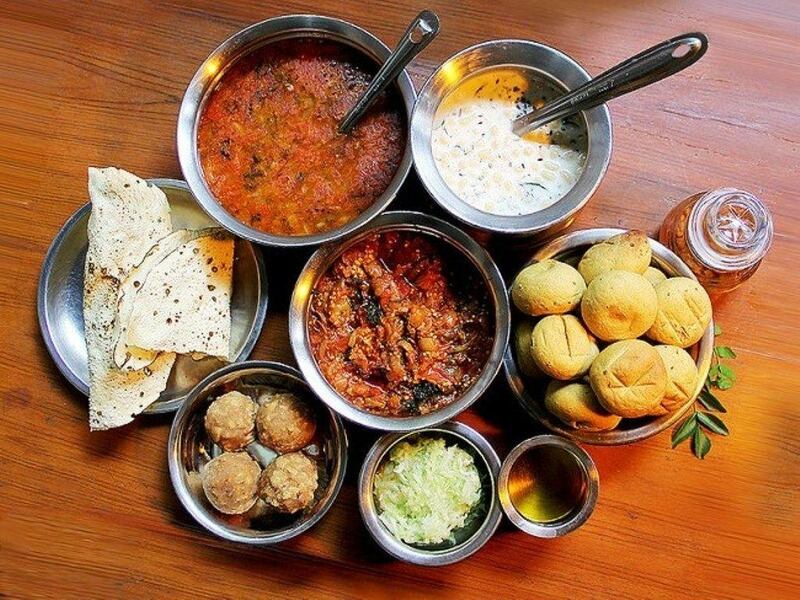 Jaisalmer is known for its bona fide Rajasthani local cuisine. 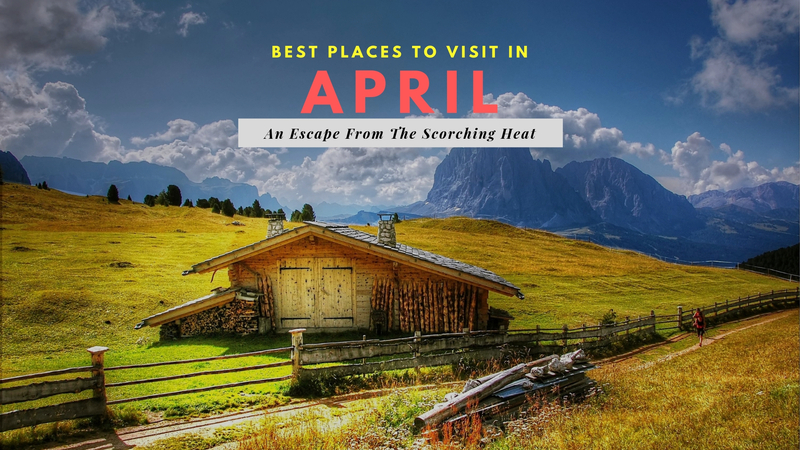 The roads are loaded up with the fragrance of the celebrated road nourishment in Jaisalmer and powers one to make an agenda of all that one needs to try when they visit Jaisalmer. 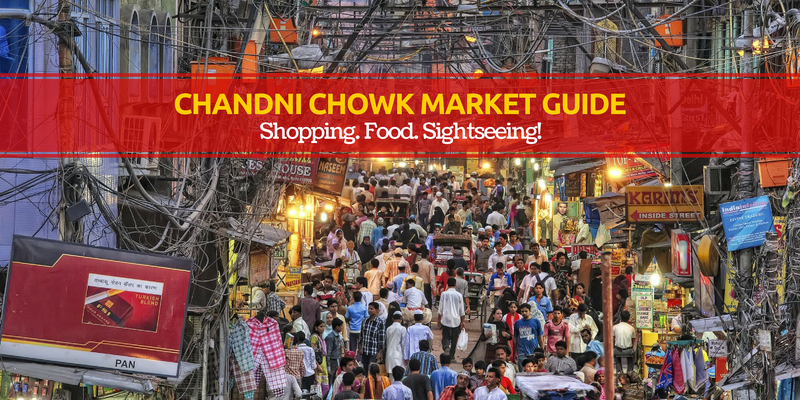 Some of their popular dishes include Gatte ki Sabzi, Dal Baati Choorma, Pyaaz ki Kachori, Ghotua Laddoos and so forth. Their menu will definitely leave you spoilt for choice as they’ve got it all covered for you. Q: What are the most fun things to do in Jaisalmer? A: The most fun things to do in Jaisalmer would be to enjoy a camel ride and explore the sand dunes along with Haveli hunting. Q: What's there to do/see in Jaisalmer? 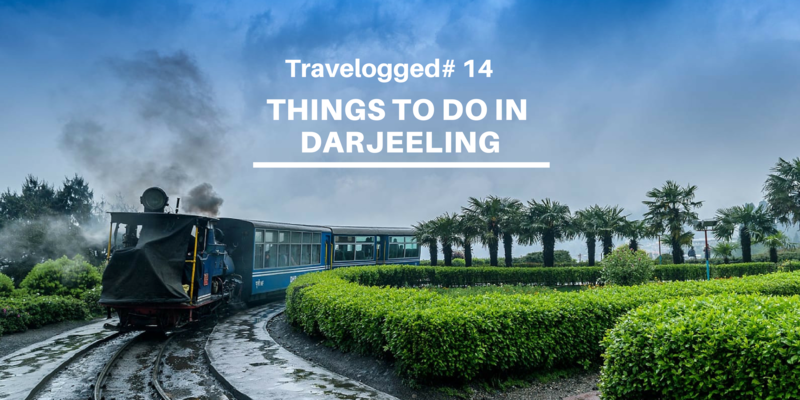 A: Patwon Ki Haveli, Salim Singh Ki Haveli, Jaisalmer War Museum, Gadi Sagar Lake and the list goes on.